Not so fast. You can only utilize chat if you play on iPhone 4S, iPad 2 or the new iPad. Message to all N.O.V.A. 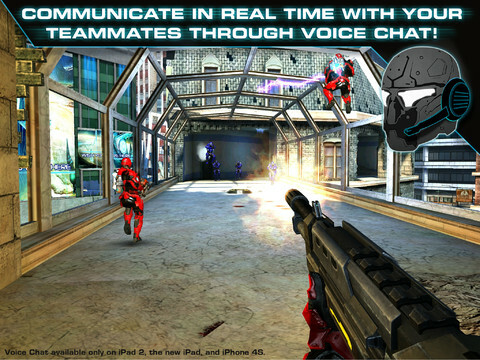 3 fans: Gameloft just released an update for its hit sci-fi first-person shooter that introduces voice chat to the multiplayer experience. Not only that, but the game also includes a new map called Warehouse (close quarters, long-range combat, San Francisco theme) and a new game mode, InstaGib. In it, everyone has the same weapon, and one shot kills. Now before you update, know this: voice chat will only work on iPhone 4S, iPad 2 and the new iPad. Just something to consider.